Fleeing the Shadows is a satisfying follow-up in the continuing Dangerous Loyalties series as our brave heroine flees with her family into the Kentucky frontier. 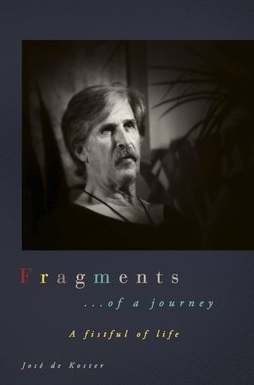 What direction did you want to take this novel in that was different from the first book? After the danger caused by Papa’s covert activities in book one, I wanted readers thrust headlong into survival mode with thirteen-year-old Mary and her family. The family is always running from something and danger seems to lurk around every bend. Did you plan the plot twists before writing or did they develop organically? I used a rough outline to keep the story moving but allowed surprises to happen naturally. Mary continues to carry the bulk of the family’s worries as her Papa makes increasingly difficult decisions. What were some obstacles that you felt were important for her characters development? Mary struggles with PTSD. She must deal with each fear and keep going. Mary rises to the task of taking charge of her siblings when Papa must care for Momma. When Mary shuts down in fear, she allows her family to care for her. Her ultimate challenge leads her to face real and imagined shadows to save her family. Where will book three in the series take readers? Mary hopes life at Fort Boonesborough will fulfill her dreams of a peaceful life with friends and suitors. She has her heart set on a certain someone and is determined to win him for her future husband, but Papa and the American Revolution say otherwise. She blames herself for the bounty onPapa’s head. Book Two in the Dangerous Loyalties series–a historical novel for teens–continues the riveting story of Daughters of the American Revolution patriot Mary Shirley McGuire. It’s late summer in the Alleghany Highlands, 1775. Colonial Virginia has resolved to support the American Revolutionary cause for liberty. The British are determined to retain control of the fur trade and keep frontiersmen fighting Indians instead of joining the Continentals. Thirteen-year-old Mary Shirley is still recovering from emotional wounds inflicted when she risked her life delivering traitorous dispatches. She trusted the wrong men, and now the family must flee Indian Creek to stay ahead of British Loyalist who seek her papa’s life. But they can’t risk being captured by taking the main road to Daniel Boone’s trail that leads into Kentucky territory. They must endure the more dangerous and grueling hunter’s path that leads to rough frontier forts along the Clinch River. Passions are ignited, friendships are formed, and shocking lessons are learned. Papa ignores the warnings to wait for other travelers, causing Mary’s anxieties to worsen. Once they cross the Cumberland Gap, they’re at the mercy of God and the Chickamauga Cherokee to make it to Fort Boonesborough alive. Frontiersmen tell them the settlement of Fort Boonesborough isn’t defendable, and Mary doesn’t want to continue. Papa is confident that the Indians are too busy preparing for winter to raid. A few days from the fort, Mary is feeling hopeful for the future. Then disaster strikes, leaving the family devastated and heartbroken. There is no other choice. Mary must lay aside paralyzing fear and excruciating pain to save her family before time runs out. 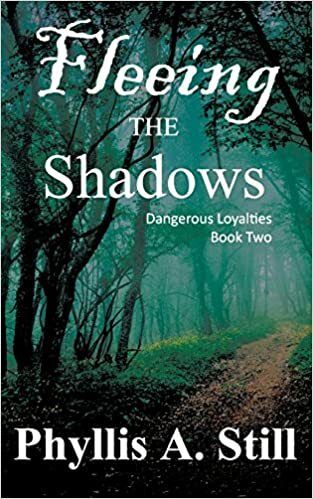 Fleeing the Shadows (Dangerous Loyalties Book Two) invites readers to experience traveling the dangerous wilderness trails with Mary and her family through thick wild forests of Southwest Virginia and into Kentucky territory that leads straight into a Native American hornet’s nest. Mary just wants to make it Fort Boonesborough and live in peace. Posted on August 12, 2017, in Interviews and tagged action, adventure, Alleghany, amazon, amazon books, american, american history, american revolution, author interview, book, book review, books, cherokee, clinch river, colonial, cumberland gap, ebook, ebooks, facebook, family, fantasy, fantasy book review, fiction, fighting, Fleeing the Shadows, friends, frontier, fur trade, god, goodreads, historical fiction, history, indian, interview, kentucky, kindle, kindle book, kindle ebook, literature, love, mystery, native american, novel, old west, peace, phyllis a still, ptsd, reading, reviews, romance, stories, thriller, twitter, virginia, war, wilderness, women, writing, YA, young adult. Bookmark the permalink. 1 Comment.